I read the first novel in the Miss Marple series (Murder at the Vicarage) in January. In that book, published in 1930, the story is told in first person narrative, by the vicar in St. Mary’s Mead. This second novel featuring Miss Marple was not published until twelve years later, although there was a book of short stories published in 1932. 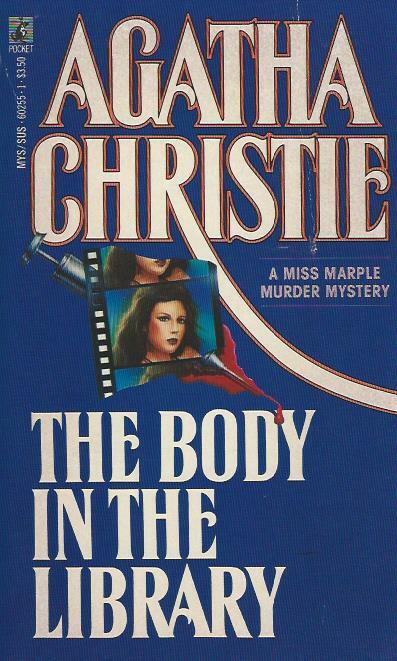 In this novel, Christie uses the third person. Although I preferred the use of first person narrative in the first book, it would not have worked well for this one. The action starts in the Bantry's home, Gossington Hall, where the body is discovered. The police are called in and begin their investigation. The action moves to the Majestic Hotel at Danemouth, where the victim worked and was reported missing. Dolly Bantry’s concern for her husband causes her to call in Miss Marple for help. Both of them know that it would hurt him to be suspected and shunned by the villagers, which will inevitably happen if they never catch the murderer. Even Sir Henry Clithering (retired from Scotland Yard) comments on Miss Marple’s ability to hone in on the culprit in such crimes. "Downstairs in the lounge, by the third pillar from the left, there sits an old lady with a sweet, placid spinsterish face, and a mind that has plumbed the depths of human iniquity and taken it as all in the day's work. Her name's Miss Marple. She comes from the village of St Mary Mead, which is a mile and a half from Gossington; she's a friend of the Bantrys, and where crime is concerned, she's the goods, Conway." I had inklings of who the culprit was about midway through, but was never sure. So far, I have found that Christie usually keeps me guessing until the end. Another mystery was how (and why) the body shows up in the library, and that was handled very well, also. Overall, another enjoyable read for me. 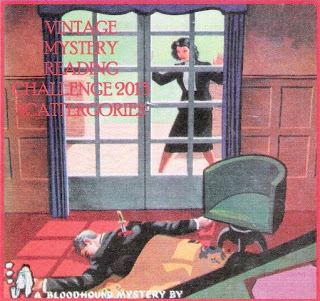 I read this book for the Agatha Christie Reading Challenge, hosted by Mysteries In Paradise. If you are interested in joining in, here are instructions on how to do that. Links to other reviews for this month will be found here. The novel was first serialised in the US in The Saturday Evening Post in seven parts from 10 May (Volume 213, Number 45) to 21 June 1941 (Volume 213, Number 51) with illustrations by Hy Rubin. I haven't read a Christie for yonks but I'm sure I read this one about 30 years ago. I prefer it when there is a sort of rivalry between the police and the amateur sleuth, or the sleuth has been called in by the police as they are stumped. It generally adds to the vintage feel of the story I think. I read a lot of Christie many years ago also, maybe 30, maybe 40 years ago. But I don't remember a thing about them, and I have never watched any TV or movie adaptations (except for Murder on the Orient Express), so they are all new to me now. Tracy - Thanks for a thoughtful and well-written review. It is interesting that you focus on how the police go about what they do in this novel. It is a little different to some of the other Christie novels in which the amateur 'takes the stage' early in the novel. I think this one more than some others has more hints of a police procedural (although I wouldn't really put this in the same category). There are some interesting twists and turns of the plot too, I thought, as you would expect from Christie. Margot, I found it interesting that in both the Miss Marple novles I have read recently, she doesn't play a large role. She is talked about a lot, and she plays the key role, but she isn't "on stage" the whole time. I am really enjoying getting reacquainted with Christie's books. Thanks. Now that I get back to Christie's books after all these years, I am surprised to find there are so few in the Miss Marple series. I know exactly what you mean about the TBR pile. Your posts have added a few to mine. I'm glad you liked this one Tracy. I see this as one of AC's solid Miss Marple books. I hadn't noticed the shift from 1st to 3rd person you know, although I read these all as a teenager and I wasn't much about noticing that type of thing then. Good to read a review from someone fairly new to AC's book - it is very refreshing. Sarah, I am very happy that I am enjoying all the Christie mysteries I have read recently. Some vintage mysteries I have read in the last year or two have disappointed me and I was beginning to think I had lost my taste for mysteries of the Golden Age. I guess all authors have their lesser books, but so far I have not run into one of those for Christie... this time around. I enjoy Miss Marple more now than when I was a teenager. Glad you liked this one. I agree, Carol. I certainly appreciate the books for different reasons. Although I am not sure what age I was when I read them. Definitely under 30.